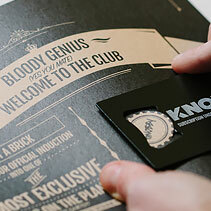 We’ve created the ultimate pack for a true fan, or the perfect gift for a KNOBBY loving lad. 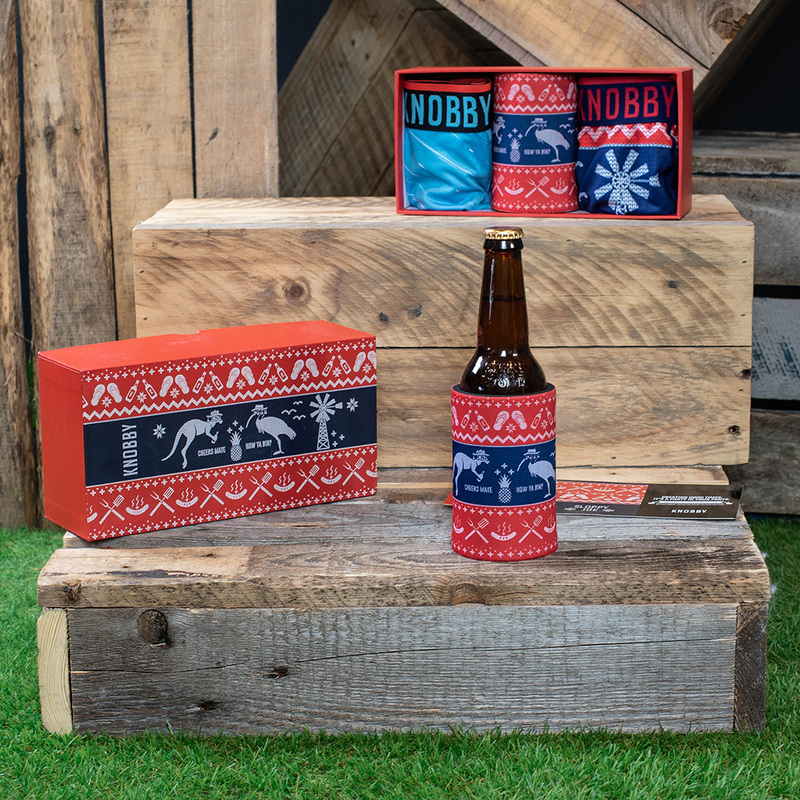 Two limited edition pairs and a matching stubby cooler showcased in a beautiful themed gift box. 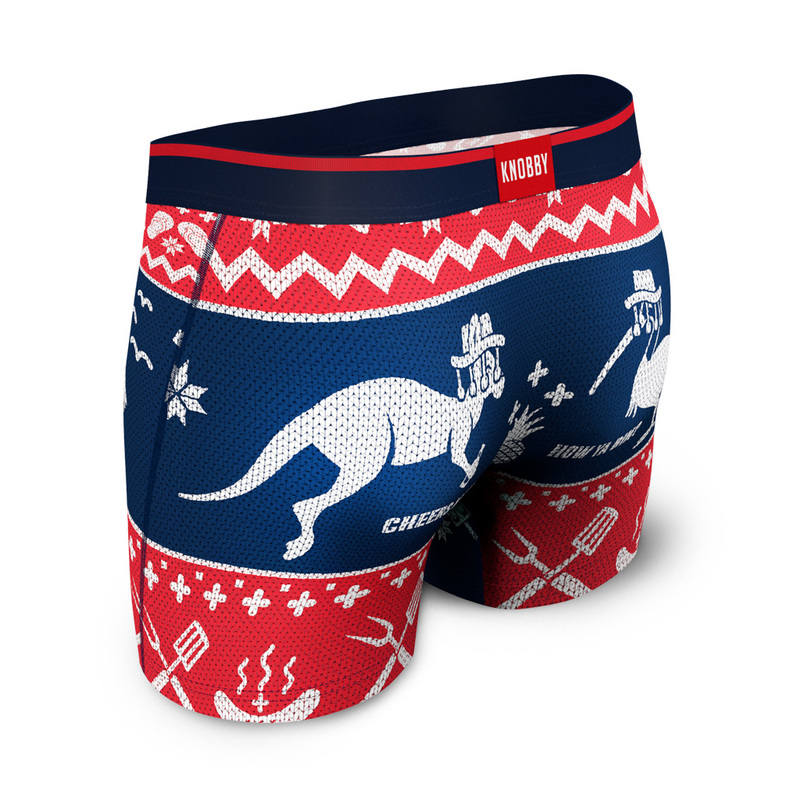 Designs included are Sloppy Joe and the super exclusive Scary Christmas that is only available in this pack. There are only 1000 packs in existence. The Session Trunk is a shortened version of our Long Leg. Bringing next level comfort, friction free support and damn good vibes. It’s a party in your pants! Still crafted from our popular micro mesh, it now features organic bamboo lining. Luxuriously soft, naturally moisture wicking and odour resistant. Scary Christmas. Not available separately. Sloppy Joe Stubby Cooler. Not available separately.